Wrestlemania 33 certainly lived up to its tagline The Ultimate Thrill Ride by being a rollercoaster of a show! From great matches to a marriage proposal to the end of the Deadman’s career. There is so much to talk about for the show of shows, that we will have two episodes to discuss the events that took place. This is the first part or A Double, If you will, in which John, Richard, are joined by good friend of the show Jerry Chandler. What did they think about Bray Wyatt’s unique ring screen? And has one knuckle ever been more over than Kevin Owens? Obviously they talk about Undertaker in what appears to be his last match and there thoughts on it being against Roman Reigns. 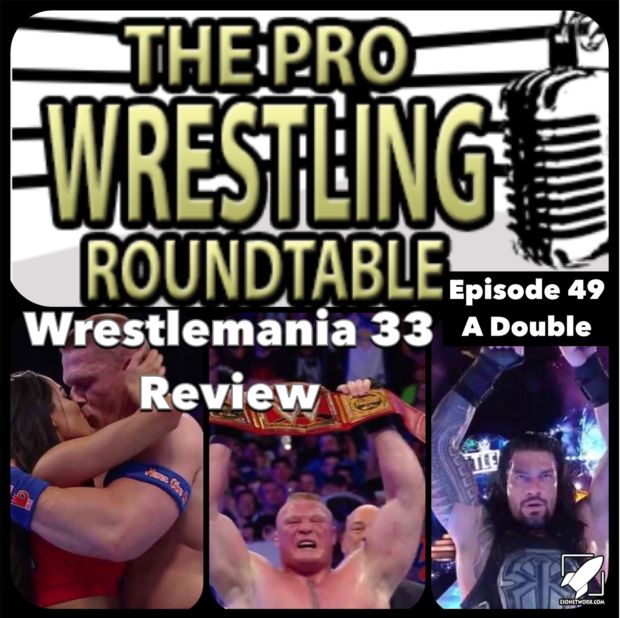 All this and more on this edition of The Pro Wrestling Roundtable!